What is a forklift train the trainer certification? And who is required to have one? 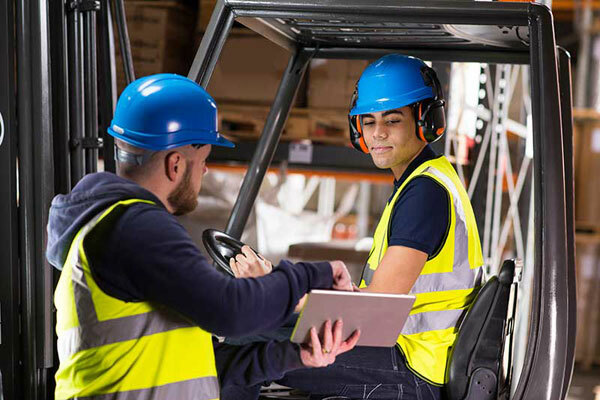 As the name indicates, this certification program is for individuals who wants to train and certify forklift trainers according to OSHA standards. Essentially, forklift train the trainer certification is for companies that want to teach their trainers everything they need to know in order to become OSHA compliant and conduct forklift training in-house to train their employees to become certified forklift operators. OSHA requires all forklift operators to be trained and certified. Similarly, they also require trainers to be trained by someone who is certified to teach them, conduct their training and evaluate their competence. So in this article, we will be going over how a trainer is properly trained inside versus outside of the work environment. Not only that but how employees can also greatly benefit from having a well trained instructor available to them in the workplace. Also how having a well trained forklift instructor on your team, as a warehouse owner, can be a priceless benefit to your company. If you aspire to be an instructor, we will cover what kind of skills and background a person needs to have to obtain this position. We will explore all of the different avenues that forklift operator instructors should go through to become a legit in-house teacher. Who Can Be a Designated and Qualified Trainer? There are many assets into having a well qualified trainer in the workplace environment. To the employees of the company, there are many advantages to having an in-house trainer available at any time. For one thing, it saves the employee money by not having to pay to take a course at a training facility. Another benefit to the employee is that he gets trained in his/her warehouse setting which makes them better prepared for starting to work. There are also many gains for employers as well, that will save a company not only time but money. Sending the employee to training can be a costly endeavor with paid time away from the company. Having an on-site trainer makes it possible to train an employee how to drive a forklift while also training on the job, making it two trainings for the price of one. Also, other expenses are often covered by employers, such as gas, which can be very pricey depending on the distance of the training facility. Another benefit is that all training is done on-site, meaning that the employer can oversee the entire fleet of operators. Having an instructor that the owner trusts, releases him/her of a lot of duties, making it easier for them to focus on other tasks. This ensures that employees are being correctly trained under not only company standards, but OSHA standards as well. Also for current employees looking to drive a new machine or to correct a violation they can just train on site, instead of taking time to go to a training center. All that is needed is some time in the conference room to teach and give a test. This, yet again, saves the employer time and money. All around this new idea of having an on-site trainer is a win-win situation for both the employee and employer. Next, we will go into how being a warehouse forklift instructor works and what makes it a legit method of warehouse managing. Also, what kind of work history and traits a person should encompass to be a great forklift train the trainer. What makes an instructor qualified enough to train and manage a whole fleet of forklift operators? There are certain traits that an instructor has that make them a cut above the rest. In order to be considered for a job in this competitive field, you need to be sure that you have these qualities. First and foremost, an instructor needs to have a long work history in the field. 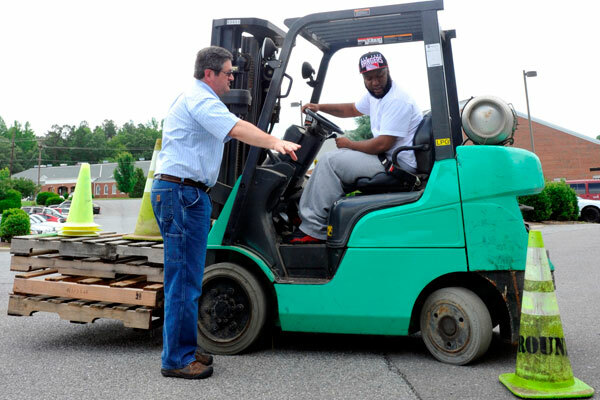 An instructor, almost always, starts off as a regular forklift operator and moves their way up the ladder. They refused to do the bare minimum and go above and beyond their job and learn new skills. This makes them stand out above the others in the field; you know you are ready to move up when other employees start asking you for advice. They will need to have extensive knowledge and on-site training of several different forklift vehicles, not just the common ones. The will need to be trained to work in several different work environments, like not only inside warehouses, but in outside ports as well. Also, they should have credible references from each of their jobs and training facilities to vouch for their successes in the industry. He/she will also need to have proof (a certificate or reference) of extensive training at a legit school on all of the different types of forklifts. To be in the industry, by law, one must be at least 18 years of age. A high school diploma or GED is required in the industry as this shows basic competency on how to read/write. Mechanical know-how is a plus in this field; because an instructor is usually called to troubleshoot errors with forklifts. Last but not least the instructor will preferably have a college degree to ensure that they have the know how to train and manage a fleet of operators. Having this extensive history will not only help in getting you a job, but will prove to be very useful, if not necessary, while in the position. Not everyone gets to be an on-site forklift instructor though; one must contain certain qualities that set him/her apart from other operators. They know them and know they are hard workers. They save a lot of money because an employee that is already there is already halfway trained. One that wishes to be in this field must radiate confidence and know the ins and outs of the profession. This includes knowing how to boldly operate and maneuver any PIT (Powered Industrial Truck) in the field. In addition to that, a qualified instructor should be somewhat mechanically minded and know the inner workings of these trucks enough to pinpoint any issues that may arise. He/she must be the main manager’s right hand, and be trusted to ensure that all operators are operating efficiently. An on-site instructor is responsible for managing a whole fleet of forklift operators and making sure they are driving responsibly. An instructor is basically a manager to the fleet and will be responsible for reporting any instances or violations. Train the trainer is a very important position and is invaluable to the warehouse environment, so keep this in mind when applying for the job. Being organized is a must in this position, and an instructor has the responsibility of keeping track of all trainings, certifications, and violations of his/her fleet. Having superior managing skills and correcting any mistakes and retraining any employee that needs it, is essential to being a great instructor. Most importantly, in this position, one must be a team player and work with all other managers to ensure all situations are being properly handled. The last thing you want in a workplace is the manager and the instructor telling the fleet two different things. This will cause confusion and could result in accidents. So you will have to be prepared to be able to meet in the middle with any manager and make sure all employees are on the same page. Having all of these traits and being on top of trainings can prevent accidents in the workplace will ensure a successful career as a forklift instructor. Who Holds These Instructors Accountable? Who holds these instructors accountable and make sure that they are experienced and skilled masters of the field? First, we will need to clear up the common misconceptions of OSHA in order to get to the bottom of who is held accountable. OSHA sets the standards for safety and regulations in the industry. Although they do make sure standards are being followed, OSHA does not issue training or licenses to any instructors or employees. The only thing that OSHA states within the laws is that an instructor must be certified and trained. Here is the law (1910.178(l)(6)), in detail, on their website so that you can better understand. OSHA requires all operators of powered industrial trucks to take a course and pass a written exam and evaluation. 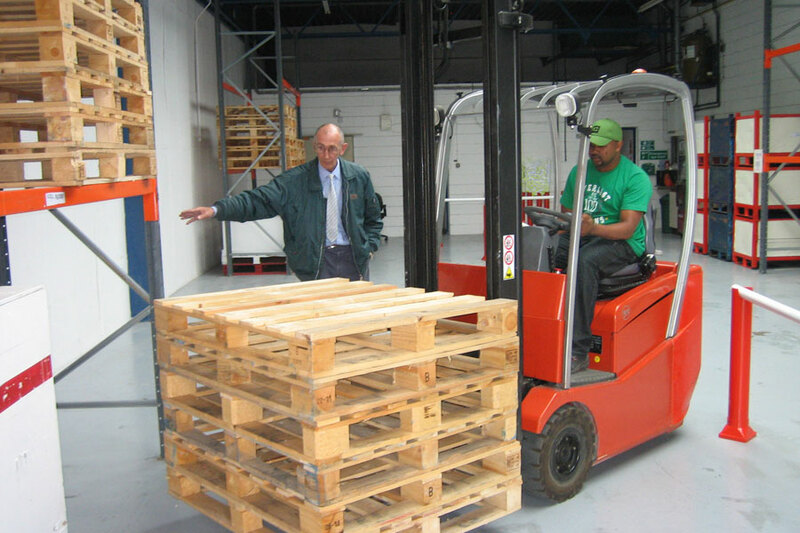 It is the sole responsibility of the warehouse manager to hire a well qualified instructor. If the manager hires an under-trained instructor and an accident occurs, it falls on the hiring manager and ultimately the company. A company could be fined and eventually shut down if problems and violations are not fixed in a timely manner. So it is basically a circle of accountability to follow the standards; from the warehouse employee to the instructor, all the way up to the warehouse owner. This whole process is overseen by OSHA to hold all parties accountable and to step in when need be. How Exactly Does a Trainer Get Trained? So we have learned that a forklift instructor must take a class and pass the forklift training test (a written test and evaluation), but where does one go for this? 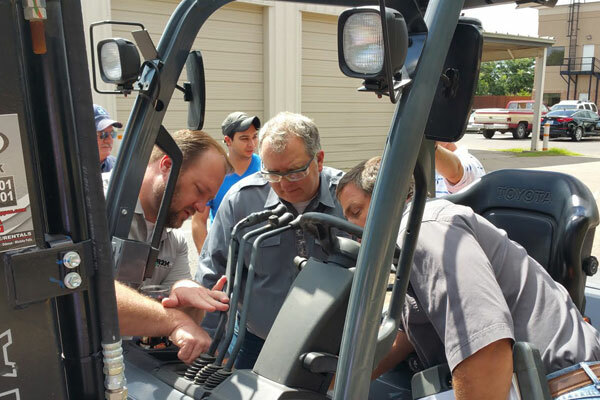 Where can forklift instructors learn the extra skills that it takes to manage and train a fleet of forklift operators? If there is a prior instructor in the warehouse, he/she can and should train the new instructor. This should be the first course of action because training in the actual work environment can be a great learning experience. This way they can get to learn the team and the company policies at the same time. This way will also save the company time and money by not having to send the instructor on leave and pay for expenses. If there is no instructor available on sight, one interested in the position will have to leave and go to a training facility to receive proper instruction. An instructor must choose one of these and obtain a certification, and either way, must be trained by a skilled instructor. Also, an employer must make sure that the instructor passes a refresher evaluation at least once every three years, or if ever a violation should occur. Also, an instructor must be trained and evaluated on any new equipment to make sure they are proficient with it. Once training has been established, we need to move on to the skills that make a forklift instructor different from a forklift operator. Whether you are an employer or a current employee having a trainer on site is a win-win situation. It saves an employer time because they won’t have to send their employees to off-site training facilities. Whether it is to retrain on a new type of machinery or to get training on violations, an employer could just simply schedule a time to meet with the instructor on-site. This saves on money as well because an employer will not have to pay for expenses such as course costs and gas. The best benefit of all that employers receive is a piece of mind, knowing that your fleet of forklift operators are in good hands is priceless. Not only do employers get all the benefits though, employees have many advantages to having an instructor available as well. For one thing, an employee will have someone there they can confide in whenever there is a violation that needs to be reported. So safety violations are more likely to be reported when they have someone over them that they can trust. Also, they can build better team bonds by training inside the workplace with their fellow employees. Sometimes traveling to training centers, especially far distances, can be stressful and daunting for an employee. Having happy employees increases productivity in the workplace and helps the whole company. So this train the trainer training can be very beneficial to the whole company when done the right way. I have listed some of the good training schools in Oregon. Check this article. I like how you talked about the benefit of getting forklift training done on site and having the employer oversee the entire fleet of operators. I know that I would prefer to know what my employees were up to after they were trained. Thank you for the information about having an instructor that the owner trusts and releases them from a lot of their duties so the owner can focus on other things.